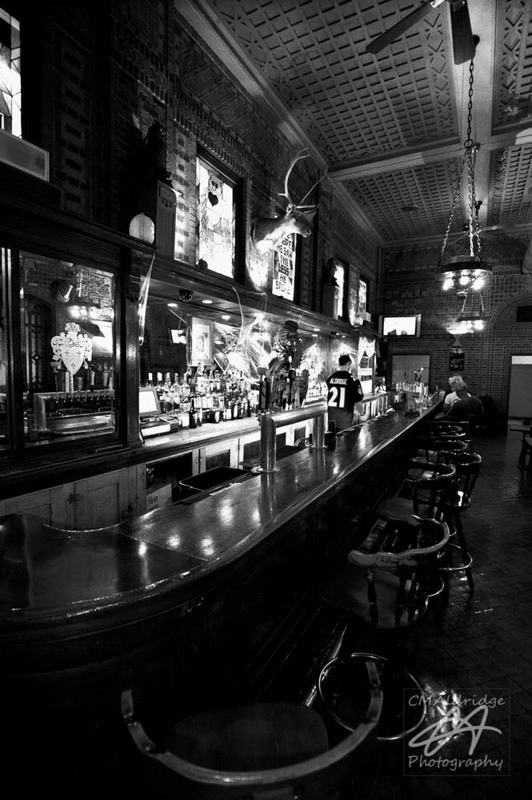 It's probably that there is something about an over 100 year old bar that you don't have to try very hard to make it look old, nostalgic and sometimes creepy. 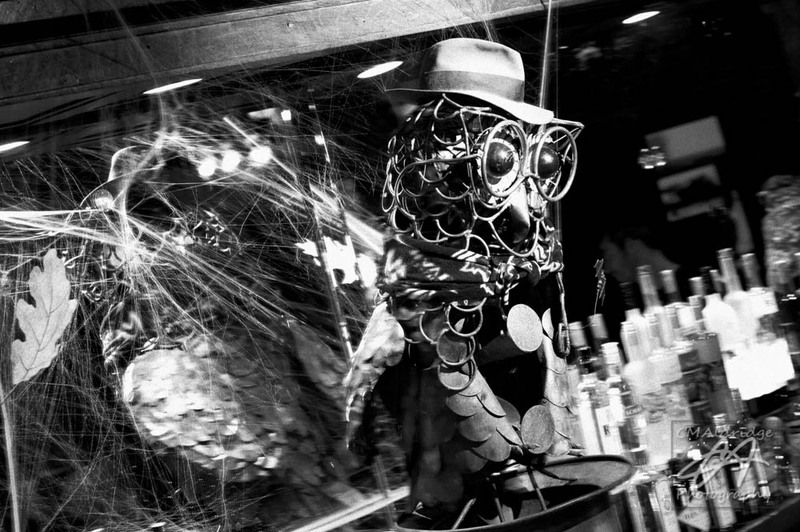 My brother tends the Owl Bar in Mid-Town Baltimore. 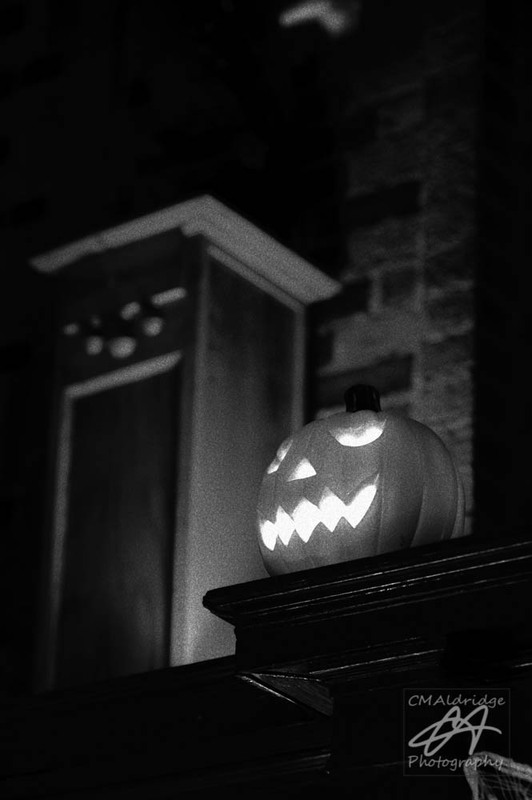 We had just decorated for the Halloween season. 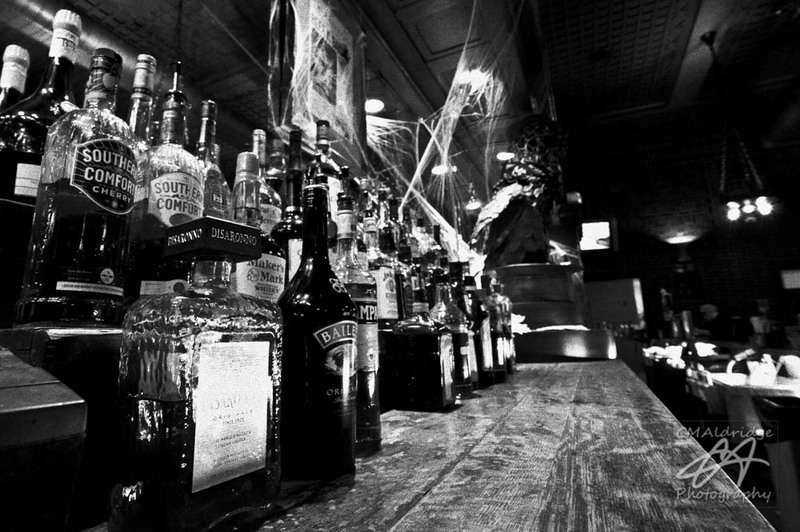 By we, I mean I donated a bunch of Halloween decorations and he put them up around the bar. Some of it is his additions too. Of course I shot all of these images in native RAW and converted them afterwards. The atmosphere really leans towards the B&W conversion, and supports the timeless, aged nature of the the establishment. 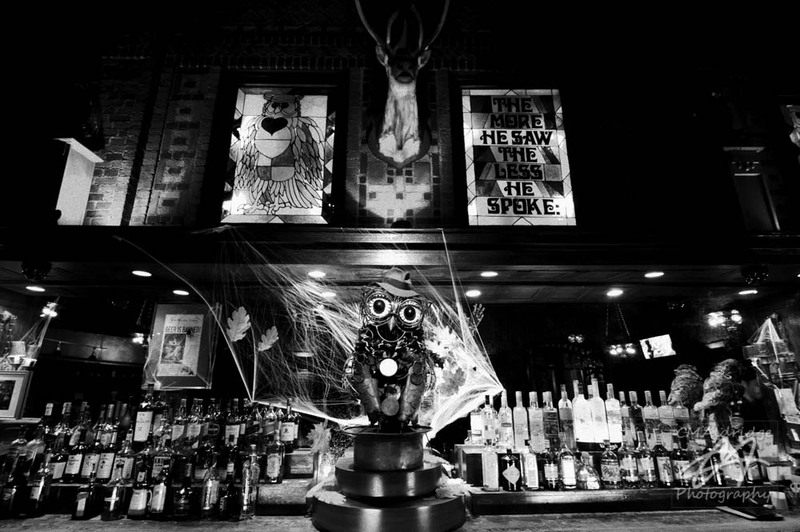 Of course, he has added some lights and arranged the product in a complimentary manner to attract visitors to the "spirits" on hand. 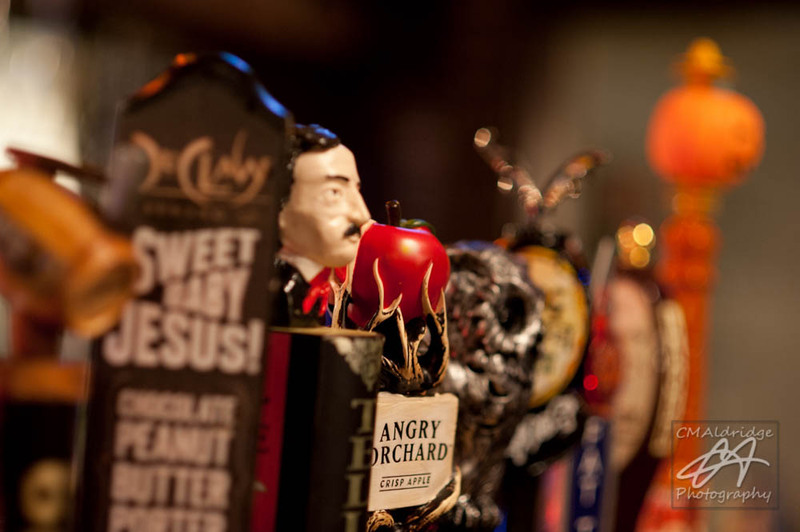 The bar features two tap stations with a variety of premium and specialty beers, many of which are from local small breweries. Same picture, you decide which is better. 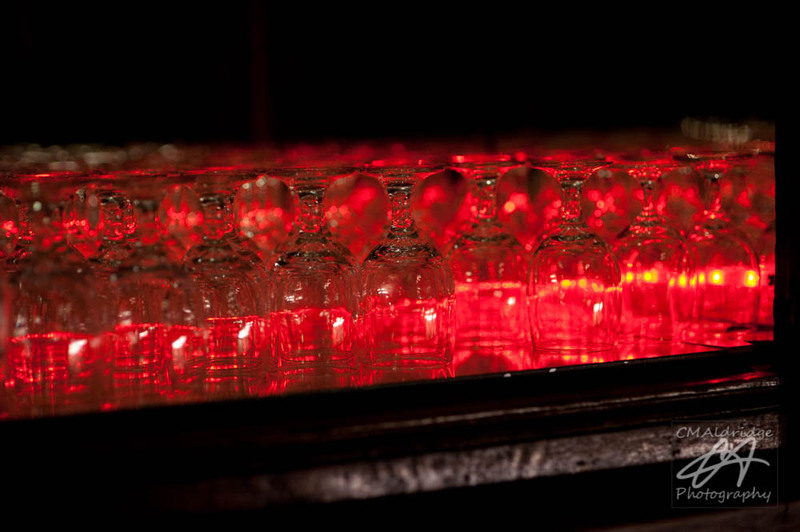 This is a topic that is often hotly debated and often questioned by pros and amateurs alike. Really there is no good answer, who knows we may not even see the same colors in our heads. 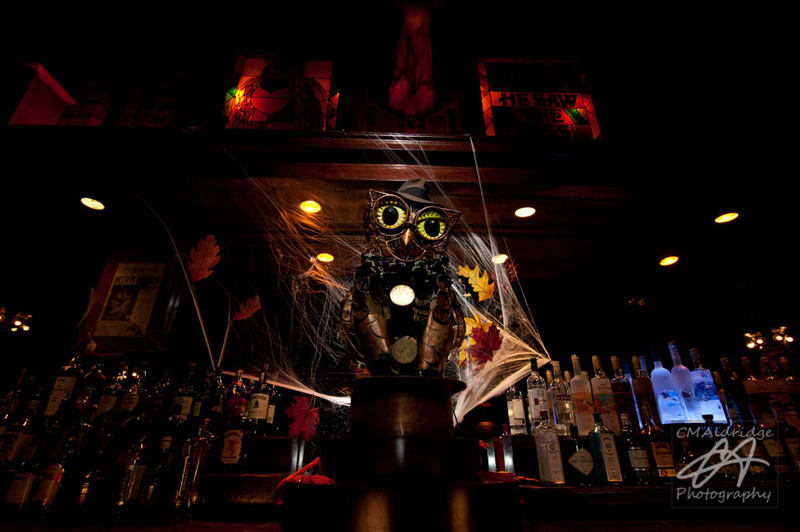 Ernie, the large copper owl atop the well of the bar, is an old centerpiece of the Owl Bar. He is actually an animated water run feature, that you can occasionally see with his wings flapping and his eyes rolling in his head. The water makes a bit of a mess, so he's not always running. Look around carefully. 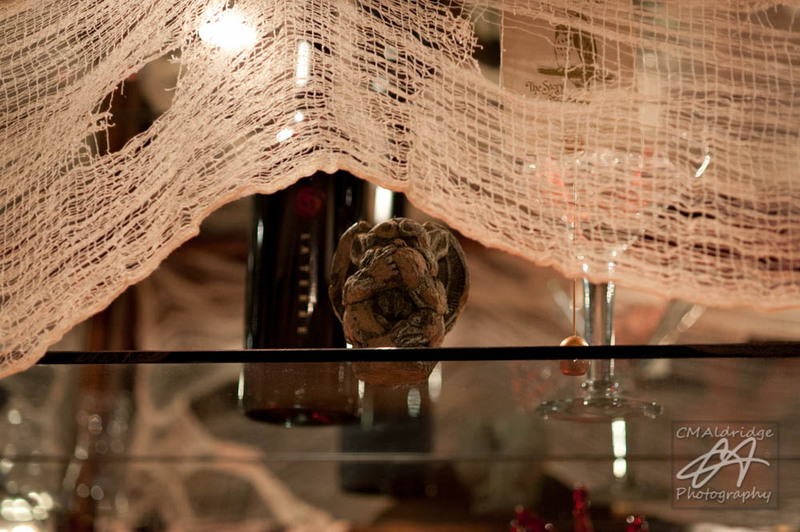 Throughout the bar and restaurant, you will find small hidden details. 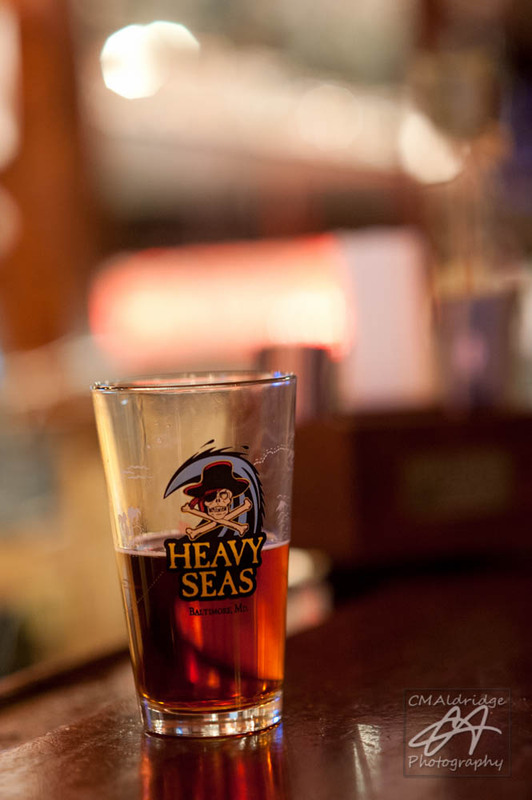 Keeping up with the very long bar space can be a challenge, but it's a great place to grab a drink.